Acaba is set to launch first, riding to the space station inside the Soyuz MS-06 spacecraft from the Baikonur Cosmodrome in Kazakhstan in September with Russian commander Alexander Misurkin and NASA flight engineer Mark Vande Hei. 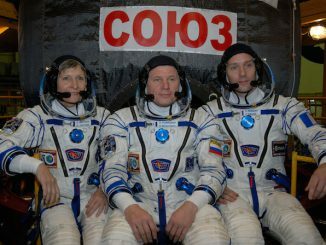 That trio will be part of the station’s Expedition 53 and 54 crews, returning to Earth next February. The mission will be Acaba’s third spaceflight since his selection as a NASA astronaut in 2004. The California native first flew in space aboard the shuttle Discovery on the STS-119 mission in March 2009, then spent four months in orbit on the International Space Station in 2012. Acaba has logged nearly 138 days in space on his two previous flights. It will be Vande Hei’s first space mission, and the second for Misurkin. Russian cosmonaut Alexander Skvortsov, NASA astronaut Scott Tingle and Japanese flight engineer Norishige Kanai are set to launch on the next Soyuz flight no sooner than late December. Those crew members were already assigned to the mission. Astronaut Ricky Arnold will join NASA’s Drew Feustel and a Russian cosmonaut on a Soyuz launch in March 2018 as part of the station’s Expedition 55 and 56 crews. Born in Maryland, Arnold previously flew in space as a crewmate of Acaba on Discovery’s STS-119 mission, accumulating nearly 13 days in space. Feustel, who was already training for his space station expedition, is a veteran of two space shuttle missions — the shuttle Atlantis’ servicing mission to the Hubble Space Telescope in 2009 and the final flight of the shuttle Endeavour in 2011. Next year’s mission will be the first long-duration spaceflight for Arnold and Feustel. Acaba and Arnold will fill seats that were planned to be empty. 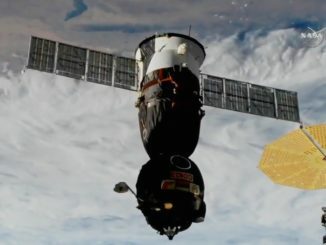 Russia has reduced the size of its crew complement on the space station until a new research lab is launched to the complex next year to cut down on costs, training and staffing requirements. Using Boeing as an intermediary, the U.S. space agency opted to take advantage of empty Soyuz seats on two flights scheduled for launch from Kazakhstan in September and in March 2018. Boeing received rights to the Soyuz seats from RSC Energia, prime contractor for Russia’s human spaceflight program, in a settlement reached last year to end three years of litigation stemming from payments related to the companies’ former partnership in the Sea Launch program. NASA said astronaut Shannon Walker, veteran of a five-month stay on the space station in 2010, will train as a “dedicated backup” for Acaba. 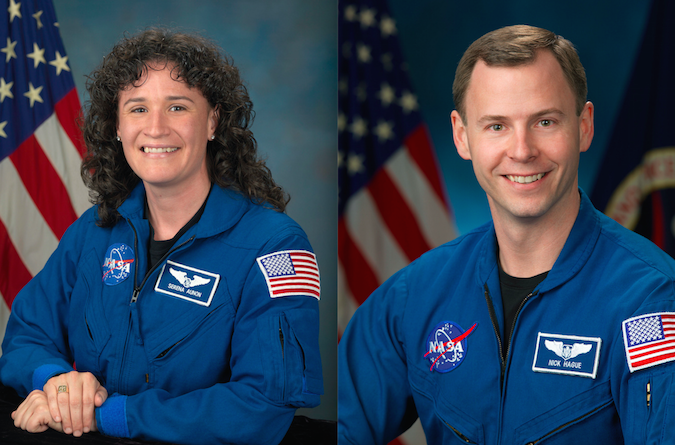 Rookie astronauts Nick Hague and Serena Auñón-Chancellor have also been assigned to space station missions, NASA said. 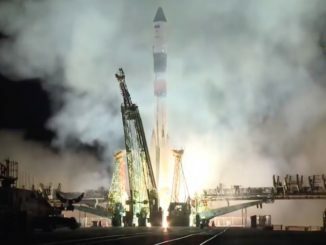 Hague, a colonel in the U.S. Air Force and a native of Kansas, will launch in September 2018 on a Soyuz ferry craft with two Russian cosmonauts for about a half-year rotation aboard the outpost. Auñón-Chancellor, a flight surgeon from Fort Collins, Colorado, will launch on a Soyuz booster in November 2018 with Canadian flight engineer David Saint-Jacques and a Russian cosmonaut. 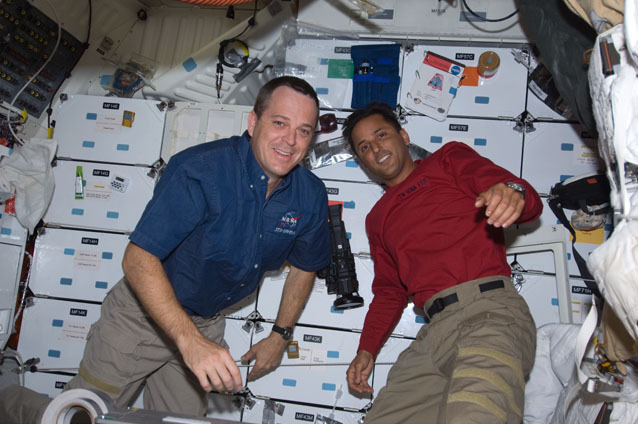 Auñón-Chancellor is a member of NASA’s 2009 astronaut class, and Hague was selected as an astronaut in 2013. NASA has reserved options to fly three more of its astronauts to the space station on Soyuz spaceships in early 2019 if U.S. commercial crew spacecraft in development by Boeing and SpaceX are not ready in time. Once the CST-100 Starliner and Crew Dragon commercial spaceships are declared operational, the space agency plans to fly most of its astronauts on U.S. vehicles, while continuing to launch at least one U.S. crew member on each Soyuz mission. Russia plans to have at least one of its cosmonauts on each CST-100 and Crew Dragon capsule in an “in-kind” arrangement that does not involve any exchange of funds.